It's Valentine's Day, and the season of love has officially begun. Couples from all around the world will be celebrating their love for each other in their own unique way. One of the most special ways to celebrate it is by using a smartphone. Now, I know it sounds quite hipster-esque to do so, but hey, why not? Why not surround yourself with cupids, hearts, and warm kisses? 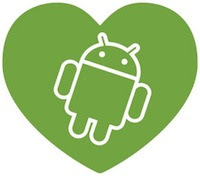 If you too are looking for bringing some love into your Android device, here are some of the best Valentine-themed apps available. This is a special version of the famous game Bubble Blasted designed exclusively for Valentine's Day celebrations. 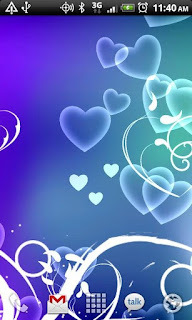 Instead of bubbles, you'll find multi-colored hearts that you are supposed to burst. Once you burst a heart, it triggers a chain reaction that lets you eliminate them completely. The game comes in 2 modes: puzzle mode and arcade mode. While the arcade mode lets you play the game anyway you want, the puzzle mode lets you progress through the game by completing as many as 5000 different levels. Overall, it’s a fun game with a Valentine twist to it. 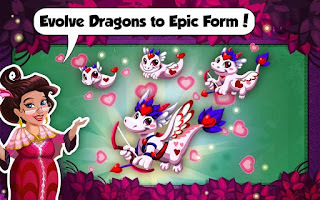 This is a Valentine's Day edition of the famous game Dragon Story, a game that involves hatching, raising, and breeding magical dragons. The game introduces new Valentine's Day dragons that you can breed along with some changes to the story line. 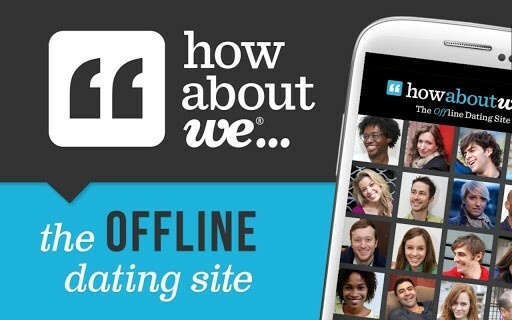 If you don't have a date for this Valentine's Day, don't worry, there's an app for that. HowAboutWe is a unique dating app that lets you post an idea for a date, connect with other people and then meet them offline. The app guarantees that you meet only real people and not someone fake. Where's My Valentine? 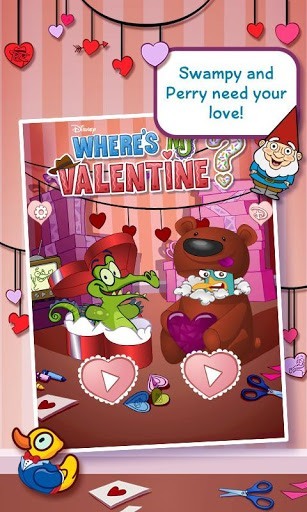 is a Valentine's Day version of the famous Disney game Where's My Water?. You'll find the familiar characters, Swampy and Perry trying to find love across 12 new love-themed levels. This is a trial version of the 250-level game that features more puzzles and characters. 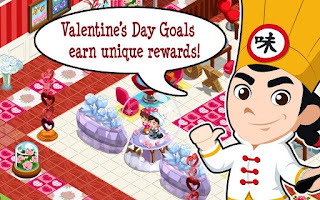 Another Valentine's Day version of a popular game, Restaurant Story: Valentine's Day comes with new Valentine's Day-themed recipes, decorations, and supplementary storylines. The game revolves around you, the player, managing and growing your own restaurant. The game is completely free to download with new free content released every week. This free application features the famous Tom and his soul mate Angela. You'll find ten romantic postcards that you can send to your loved ones along with 2 music videos of Tom and Angela. 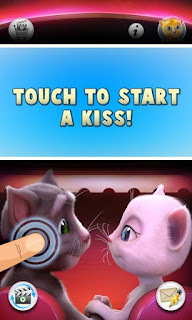 Furthermore, there are also animations of Tom and Angela kissing each other making your smartphone look even more romantic. This free live wallpaper comes with 8 different themes. 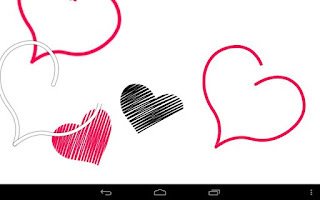 Once installed, your smartphone will be decorated with floating hearts that glow once they're touched. One great thing about these live wallpapers is that they can be customized according to the user's preferences. This free live wallpaper brings your home screen to life with colorful animations of drifting hearts. A great thing about this app is that it lets you customize the hearts and animation speed that you see on the screen. Love Letters Pro is a paid application that brings romantic imagery and phrases across your screen. 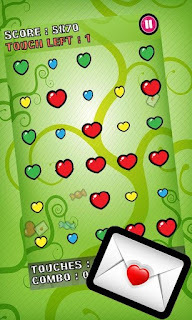 With over seven different themes, Love Letter Pro can also be randomized so that you see new live wallpaper from time to time. You may also check out our list of Geeky Valentine’s Day Gift Ideas.